Scots Grey chicken has similar foundations to the Scots Dumpy chicken. But their leg length is an easily spotted difference. 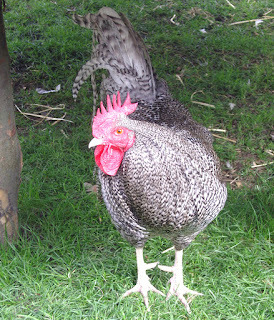 Scots Dumpy has very short legs and Scots Grey chickens have long legs.